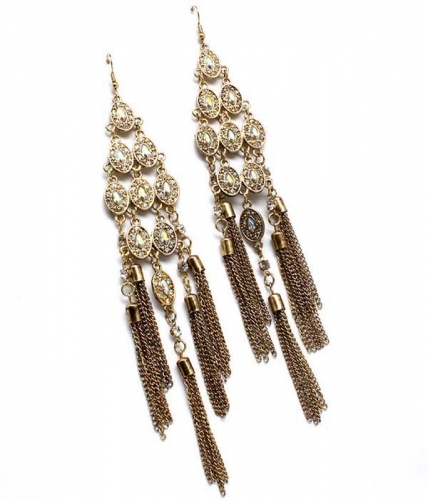 The Mona Chandelier Earrings features layers of gold toned metal encrusted with crystals finished off with tassels of chain. For the girls who think bigger is better. Feel confident when you buy jewellery online at Oz Bling. Quality is guaranteed with our hassle free exchange policy.